We breed heads of italian brown cow keeping the line cow-veal since 1998. In the same year we converted the milking room into a little cheese factory; in this place we transform raw milk in delicious cheeses, both soft or seasoned and in doing this, we research and test the possibility of making new products, always using processes that respect the organic methods. Within our farm we bear in high consideration the wellness of our animals and for this reason we inserted in the pasture rotation different grazing lands seeded with oat grass, leguminous plant, aromatic herbs and flowers. In these land cows are free to roam from spring since autumn, therefore, except in winter, when they are fed with hay of alfalfa, cows can choose their own diet. The possibility for the cows to freely decide when and what to eat makes real the conditions for a natural wellness and balance not just in favour of the cow, but also of the milk they produce. 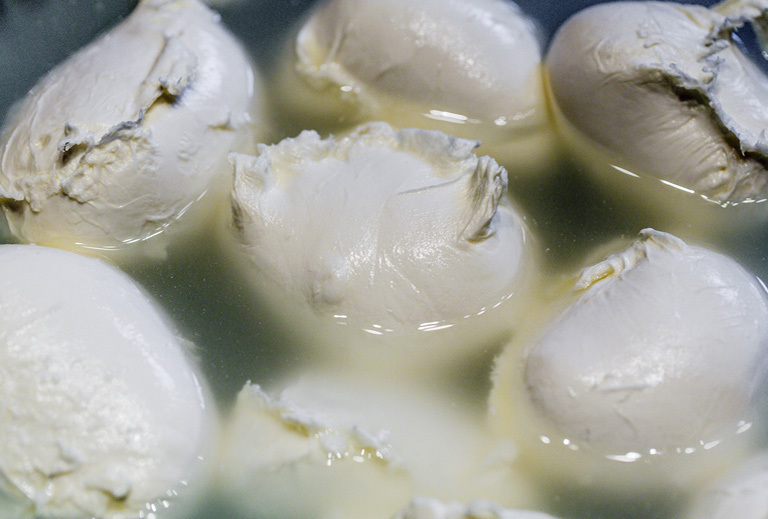 Hence the cheeses made with their milk have a peculiar scent, much more intense and variegated. Thanks to these choices, Lago Scuro cheeses are part of “ANFOSC, Associazione Nazionale Fosrmaggi Sotto il Cielo”, a National Association which aim is to protect and value cheeses produced only with raw milk from grazing cows. .